American crash investigators have thrown open their files on a fatal motorway collision between a Tesla Model S and a truck, confirming Tesla’s earlier statement that its autopilot failed to notice the truck blocking the car’s path. The accident, which happened in May last year on US Highway 27A in Florida’s Levy County, left the 40-year-old driver, Joshua Brown, a US Navy Seal turned networking hardware company owner, dead after the collision. Freshly unsealed US National Transportation Safety Board investigation documents reveal that Brown's last action was to set the cruise control to 74mph. That's enough above the 65mph speed limit but no so far that the cops would bust you unless ticket quotas were tight. According to data recovered from the car, Brown's final trip lasted 37 minutes, from buckling in until the crash. During that time he had his hands on the wheel for 25 seconds and relied on the car's software the rest of the trip. The car issued six audible warning alerts that he'd spent too long with his hands off the wheel. But then a truck slowly pulled out of a side road onto the highway, and the Tesla smashed into its trailer and passed underneath “in a cloud” of debris, according to the report. The trailer lacked side guards that would have stopped the car from going under and Brown suffered fatal head injuries. The Tesla eventually stopped after driving off the road, along the side of a pond and through a stand of trees, Mulligan said. The NTSB report found that the airbags did not deploy when the car hit the truck, but did when it hit the trees – although by that point Brown was probably already dead. “The driver brake applied parameter remained in the not applied state up to and after the collision,” noted the NTSB, revealing that Brown made no attempt to stop or slow down immediately before the collision. “Neither Autopilot nor the driver noticed the white side of the tractor trailer against a brightly lit sky, so the brake was not applied. 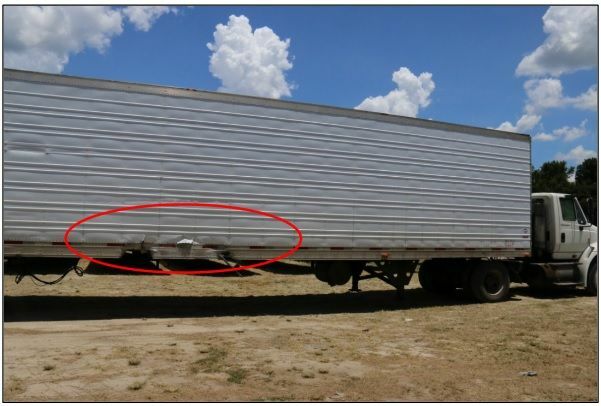 The high ride height of the trailer combined with its positioning across the road and the extremely rare circumstances of the impact caused the Model S to pass under the trailer, with the bottom of the trailer impacting the windshield,” said Tesla in a statement after the crash last year. Truck driver Frank Baressi, 62, of Tampa, Florida, had previously claimed Brown was watching a DVD at the time of the crash. Mulligan told investigators he could not say either way whether any film was playing in the vehicle once he reached the crash site, while NTSB investigator Jane Foster stated in her report: “No Harry Potter movie file was found on the hard drive” of Brown’s Asus laptop. His Chromebook, however, was “too damaged for normal data recovery” – and a micro SD card found in the wreck did contain parts of the Harry Potter films’ soundtracks. It was unclear whether the card was inserted in any of the devices found in the crashed Tesla. Brown “was a friend to Tesla and the broader EV community, a person who spent his life focused on innovation and the promise of technology and who believed strongly in Tesla’s mission. We would like to extend our deepest sympathies to his family and friends,” Elon Musk’s company said in a statement after his death.